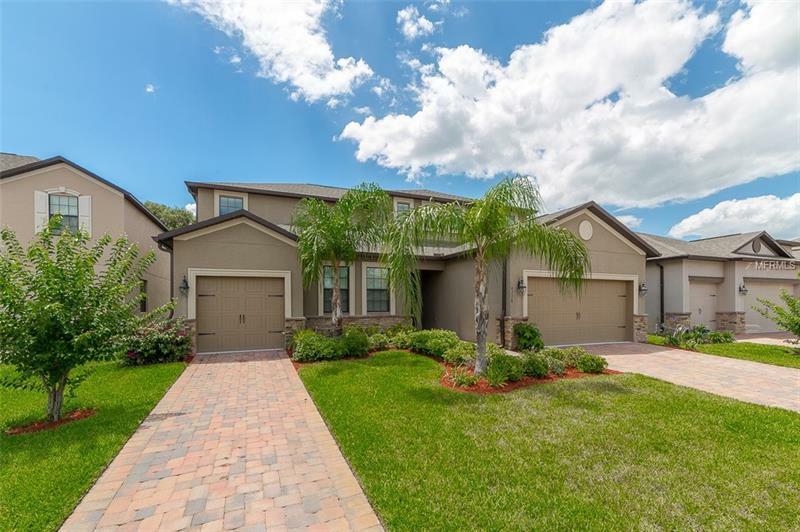 Gated community near Lake Nona Medical City and Orlando International Airport. Unique and sought after floor plan the Liberation Model NexGen home with 900 square foot 1/1 with one car garage within the larger home with two car garage. Perfect for parents returning college family members other family members. Total number of bedrooms and bathrooms:64½. The home shows like a model with large diagonal tiles on the first level granite countertops 42 inch cabinets Screened in Lanai lots of storage door openers on garages blinds on all windows and everything in excellent condition. The separate apartment has Kitchenette which includes all appliances except range. Microwave is a convection oven as well. Washer/dryer and separate AC unit for the apartment as well. Main home has all 5 bedrooms 3½ baths loft and laundry room on second level with half bath and storage on first level. The home location is ideal with trees and some lake views in the back of the home no rear neighbors tucked away far from the entrance and traffic a few homes away from the park/playground/community pool. Good school district and new STEM school Tohopekaliga High starting 2018 within two miles of the entrance. Perfect home for extended family. Call to see this great home today!